The game begins by the player selecting the coin size. The options available are 0.01, 0.05, 0.10, 0.25 and 0.50. Next the player has to select the number of coins per hand from 1 to 5. 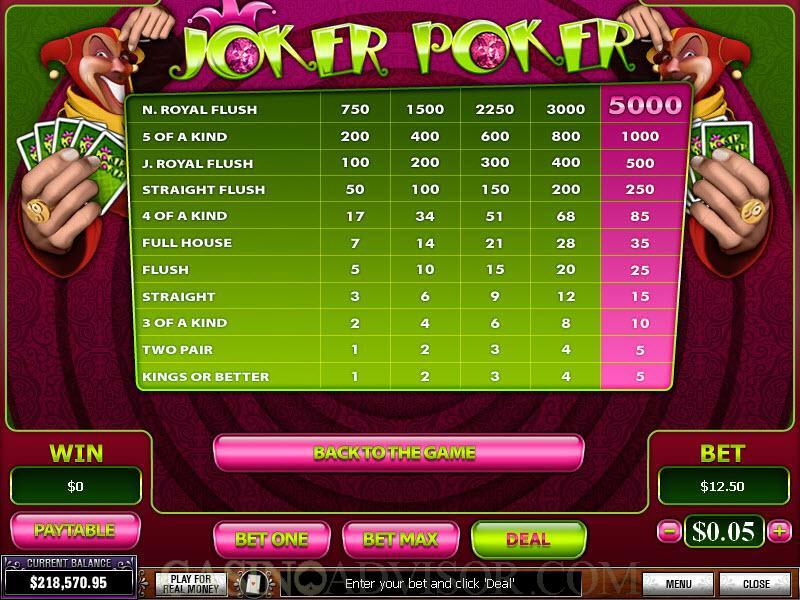 By clicking the Bet One button once the player selects one coin per hand. 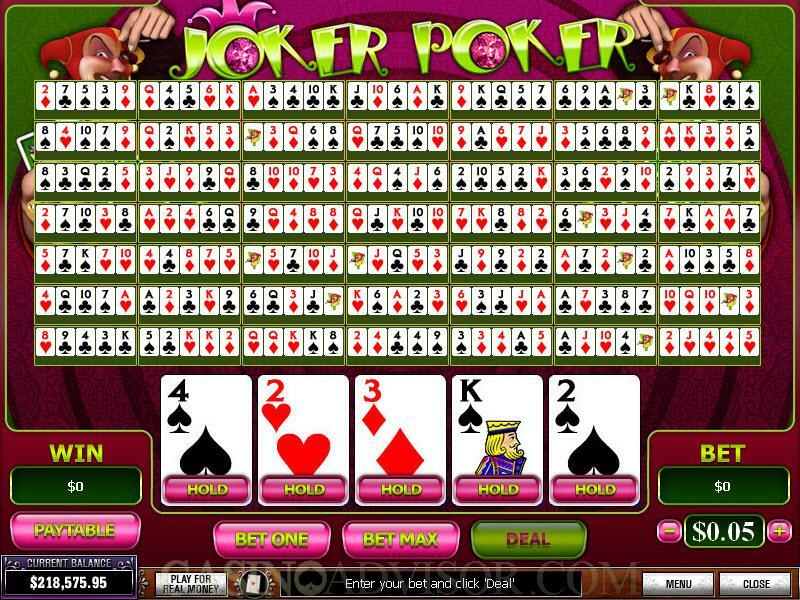 By clicking the Bet One button again the player can increase the number of coins per hand. If the player wants to wager with five coins per hand he can click the Bet Max button. The total amount wagered is the coin size multiplied by the number of coins multiplied by 50. This amount is displayed in the Bet cell and is deducted from the player’s balance when the player clicks the Deal button to start the game. On clicking the Deal button five cards are dealt in the first main hand. The player clicks on the cards that he wants to hold. These then get marked as Hold. If a winning combination is dealt the relevant cards are already marked as Hold. The cards marked as Hold automatically appear in their respective positions in the remaining 49 hands, which till then were blank. The player then clicks the Deal button again. The remaining cards in the main hand get replaced and cards are dealt in the remaining places in the other 49 hands. Each of the 50 hands is dealt from a separate full deck of cards. Each deck contains the 52 cards plus the joker. The payout of each hand is independently calculated based on the payout table and the total amount displayed in the Won cell. The player then has three options. He can collect his winnings, which are added to his balance. He can wager half his winnings in the gamble game or he can wager his entire winnings in the gamble game. Should he choose from the last two options the player is taken to the gamble game. In this game the dealer’s card is dealt face up and four cards are dealt face down. The player has to click on one of these cards. If it is higher ranked than the dealer’s card then the player doubles the staked amount otherwise he loses the staked amount. If the player wins the gamble game can be repeated. 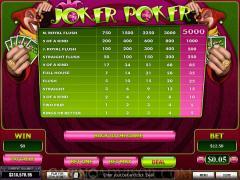 Interested in reading more detailed information about 50-Line Joker Poker? If so Click Here for more details.